Here's the third and final of three official PPC scenarios for use with the PPC Comp and its army lists. Consider this scenario a draft, and please comment on anything you feel need to change on the dakkadakka thread here. - Divide the battlefield into six equally large square zones. 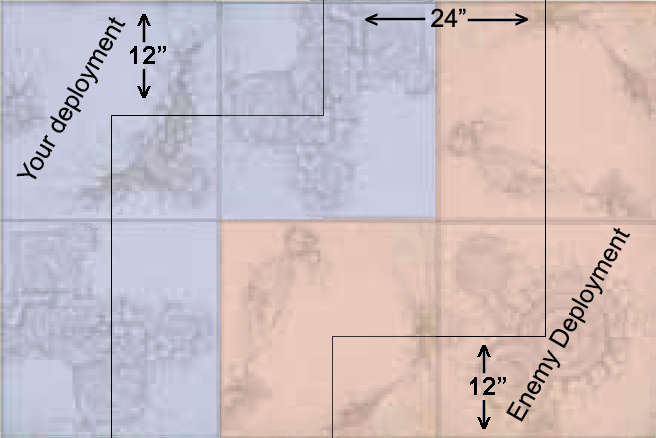 For example, a regular battlefield will have six 24x24” large zones, just like the pictures below. 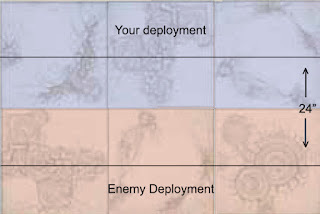 These six zones are the objective zones in this mission. 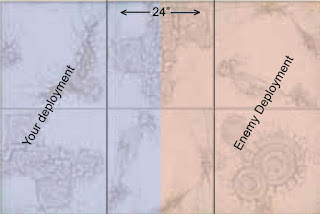 To hold a zone, you must have a unit completely inside it, and there must be no enemy units completely inside the zone. You gain 4 victory points for each zone you hold at the end of the game. Any enemy unit worth up to 400 points that is completely destroyed gives 1 victory point at the end of the game. Any enemy unit worth more than 400 points that is completely destroyed gives 2 victory points at the end of the game. 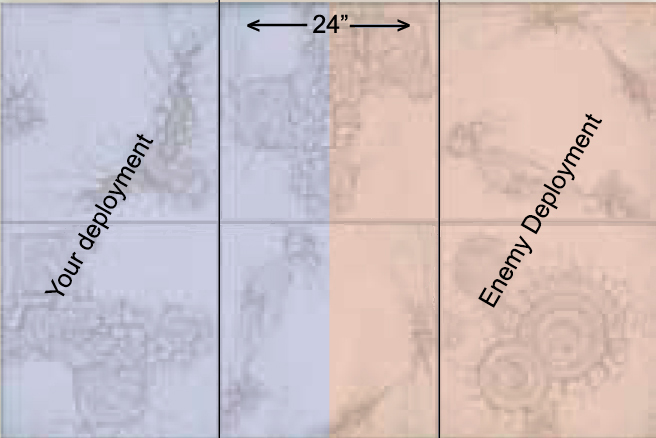 If you hold at least two enemy zones at the end of the game, you gain 1 Tie Breaker Point.